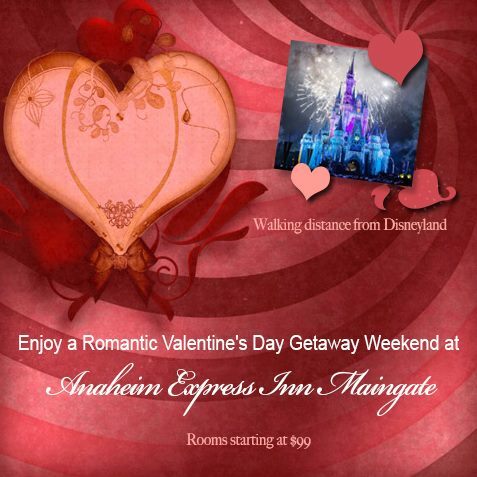 Valentine’s Day is a time for celebrating the wonder of love, and there is no better place to do so than Disneyland. During the month of February, the park pulsates with a romantic vibe. If you want to create unforgettable memories with your Valentine, this is the ultimate destination. Bring your camera and your creativity, because there will be endless opportunities to capture snapshots of your experience. This iconic structure is a must-see all year, but it’s even more captivating on Valentine’s Day. The castle seemingly radiates with passion, and the gold, red and pink nighttime lighting is wondrous to see. With love actually projected onto the castle, it’s the perfect place to experience true love’s kiss. After taking in this beautiful sight, stroll over to Snow White’s Grotto, where you can make wishes at the charming well. The sights and sounds of this restaurant actually mimic the ambiance of the bayou at twilight. You’ll experience sensory overload as you dine on some of the tastiest Creole and Cajun specialties. Located in New Orleans Square, Blue Bayou is the epitome of romance. If possible, request a table near the water’s edge, and watch the Pirates of the Caribbean boats lazily float by. There is nothing better than cuddling close to someone you love on Valentine’s Day, and this old-fashioned vessel is ideal for getting cozy. You’ll see plenty of interesting sights as you glide along the picturesque Rivers of America in Frontierland. You can also sit back, close your eyes and enjoy some quiet moments with your special someone. Do you want to relive those initial sparks you once felt for your partner? One of the best ways to do this is to experience some childlike fun. You have a few choices to accomplish this, but you cannot go wrong with King Arthur’s Carousel or the Storybook Land boat ride. These whimsical attractions are perfect for evoking that over-the-moon bliss of pure love. Main Street is especially enchanting in February. The crimson embellishments and heart-shaped decorations provide the sweetest backdrop for a hand-in-hand stroll. After sunset, the area transforms into a vibrant, twinkling wonderland. You may even get lucky and see some pop stars. Celebrities frequently visit the park during this season, particularly in the evenings, and many are gracious enough to pose for selfies with fans. To avoid the holiday crowd, consider visiting on an ordinary weekday. Lines will be shorter, and you’ll have more private photo opportunities. It’s also worthwhile to reserve your hotel in advance. Our rooms are only $99 for Valentine’s night, and we’re just minutes from the park. Visit http://anainn.com to book your spot, and get ready to experience the magic of love at one of the most romantic places on earth. My wife and I met each other for thee first one on 02-14-2009 Valentines Day. Our first official date was at Disneyland. It was the best day of my life. We had such a great time. other than re $13 hockey puck hamburgers at CaliforniaLand, it was great. We got our hand stamp and went over to Tony Roma’s. We had ribs and a great dinner(a couple Long Islands too)and then went back to Disneyland to enjoy the park at night. 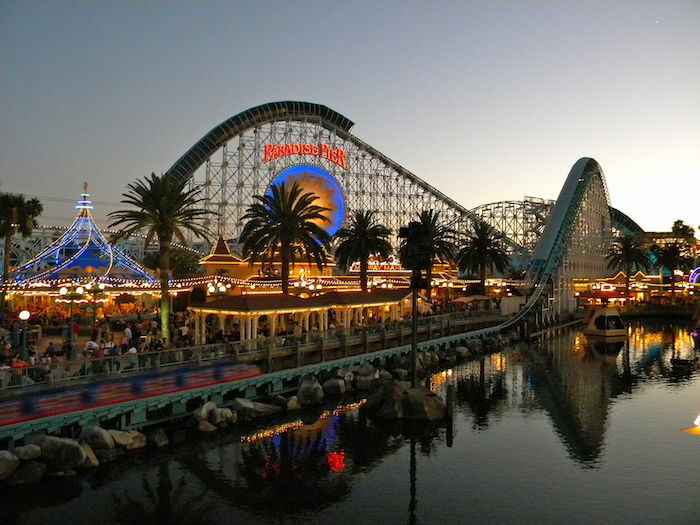 Disneyland is such a great place for a date. If you can’t have fun here then you can’t have fun anywhere. I was supposed to leave and go back home the next day. I ended up staying for a week in the hotel I reserved by Disneyland. I ended up moving to Los Angeles two weeks after. We didn’t want to be without each other. We got married three months after our first date. We went back to Disneyland for our 1 year anniversary. We had a great time again. Thanks Disneyland!! !